Three tiny blue agate hearts on 22ct gold rings hang from a plain 22ct gold bail. 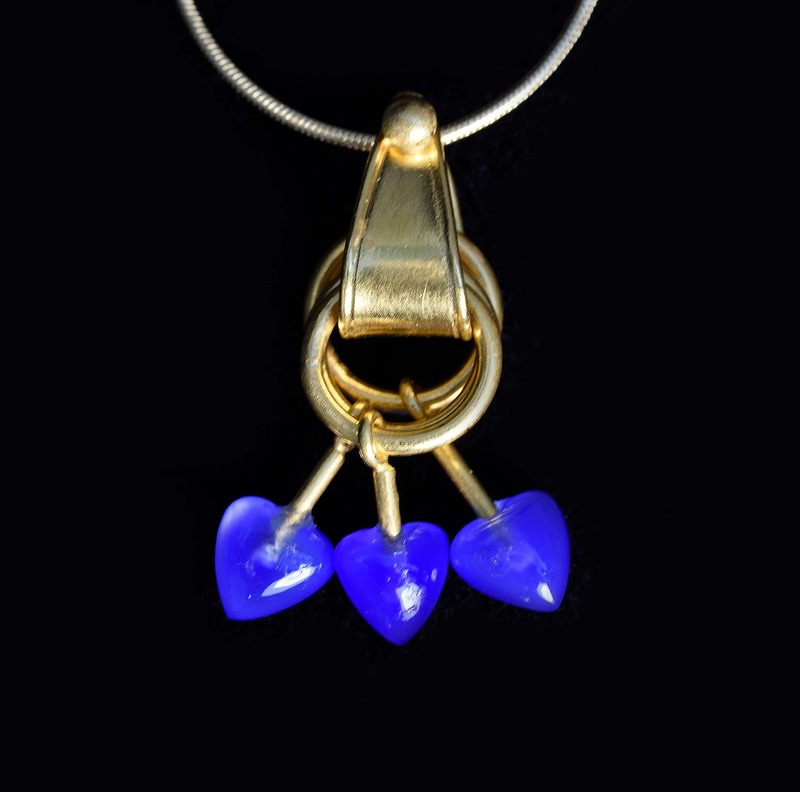 Such a surprising little pendant, fun and unusual. Approximately 2cm overall length.